My time in the Bitterroot Valley not only exposed me to incredible, untouched nature but moreover got me in touch with several passionate wilderness advocates, fighting for keeping their local wilderness areas wild. The Selway-Bitterroot Wilderness Area in the border region of Montana and Idaho, is one of the largest wilderness areas in the lower 48, covering 542 480 ha of land. Hiking through National Forest and recommended wilderness up to the wilderness boarder to a former fire lookout, where me, Van Keele and Karen Savory spend the night, the many differences between recommended wilderness and designated wilderness were discussed. Such recommended wilderness areas might show the same characteristics, and maybe even similar managment objectives as designated wilderness areas and are proposed for designation but have not been approved by Congress yet. This hike also offered possibilities to talk about the threats the local wilderness areas are facing at the moment. Recreational use has significant impacts on fragile ecosystems in wilderness areas. However, it is deeply rooted in the objectives of the U.S. Wilderness Act. Hiking and camping in wilderness are seen essential to experience wilderness. However, these activities, at the same time, threaten and change the ecosystems they want to enjoy. 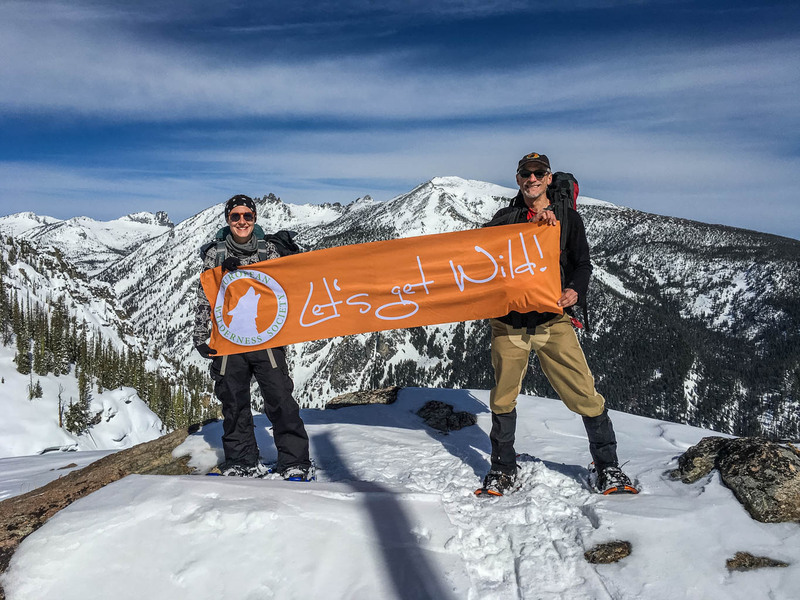 It’s a controverse discussion to find the balance between making wilderness accessible and protecting it. Established uses in wilderness areas, here in particular hunting, trapping and logging, significantly influence the wilderness quality and character as well. Logging is deeply rooted in the history of the Bitterroot valley and there is still a lot of pressure to log protected forests. The argument to cut down forests to control fire, an essential part of the regional ecosystem, is heavily discussed. Fires are fought, even in wilderness, if any kind of human infrastructure or historic structure is in danger. This is a similar approach as in Central Europe. Another important point for fighting fires is the air pollution they cause in the whole valley. Forest fires, in this part of Montana, tend to burn for a very long time, sometimes till the first snow of the winter comes in, which would mean weeks or months. Such weather driven events occure and are intensified by low humidity and strong winds making it extremly difficult to stop them. So fire management is, again, a highly controversial topic with many different viewpoints to take into account. Protecting the native species of the ecosystems within the Selway-Bitterroot Wilderness is an important task for the local group “Friends of the Bitterroot”. In particular, as the protection status of some of them, such as wolverine or fisher, does not match their population sizes. Meaning there are only a few individuals left but the species is not listed as endangerd on the national list of protected species or protected accordingly. To get data that will proof that these species life in the wilderness area but only in small numbers, several research stations for wolverine and fisher have been set up. These research stations are equibbed with camera traps, pictures and sometimes video, and bait to attract the animals. DNA samples of visiting animals are collected with the help of small brushes close to the bait. With the foto and video material as well as with the DNA samples the team around Kylie Paul, Project Leader of the Wolverine Watch/Bitterroot Mesocarnivore Monitoring Project, wants to find out how many individual animals visit the stations. So far, two individual wolverines, several marten and squirrel, an eagle and a moose have been cought on camera. However, the collected data is very sensitive as it might be misused for hunting or trapping. This week I will work from the office of the Aldo Leopold Wilderness Research Institute and will meet with the Arthur Carhart National Wilderness Training Center as well as with Jimmy Gaudry of the Forest Service. On the weekend I will give a talk in Hamilton about the different objectives of the European and American wilderness definitions and how these different objectives result in differences in the implementation and management measures.